When you see a bearded person, how likely are you to feel an urge to touch that beard? At first you might think “what is this guy talking about, I don’t want to touch someone’s beard”. However, I beg to differ. 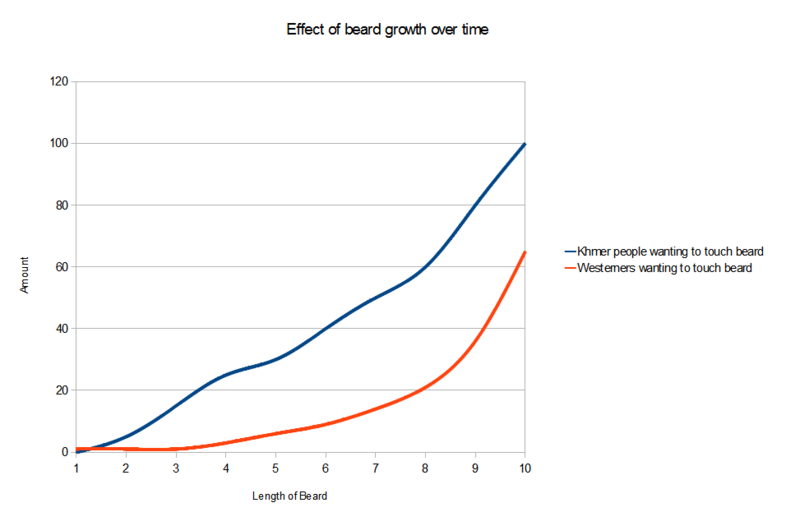 Over the past 9 months of growing a beard I’ve had a unique opportunity to study the reactions of Cambodian and expatriate ‘Westerners’ when they are confronted with someone undergoing a serious beard growing phase. I’d like to present this extremely accurate graph which plots the findings of my scientific study.